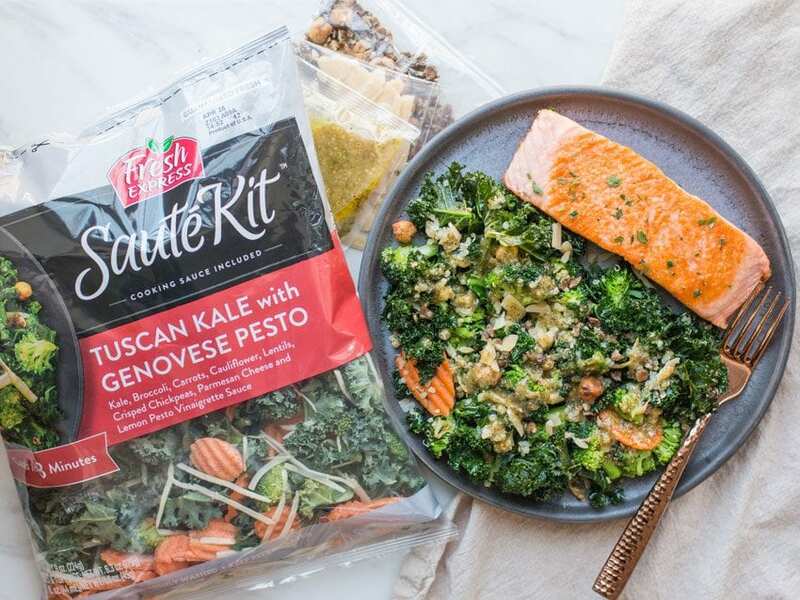 I’m always trying to get as many veggies in my recipes as possible, and now that’s easier than ever, thanks to Fresh Express Sauté Kits™. 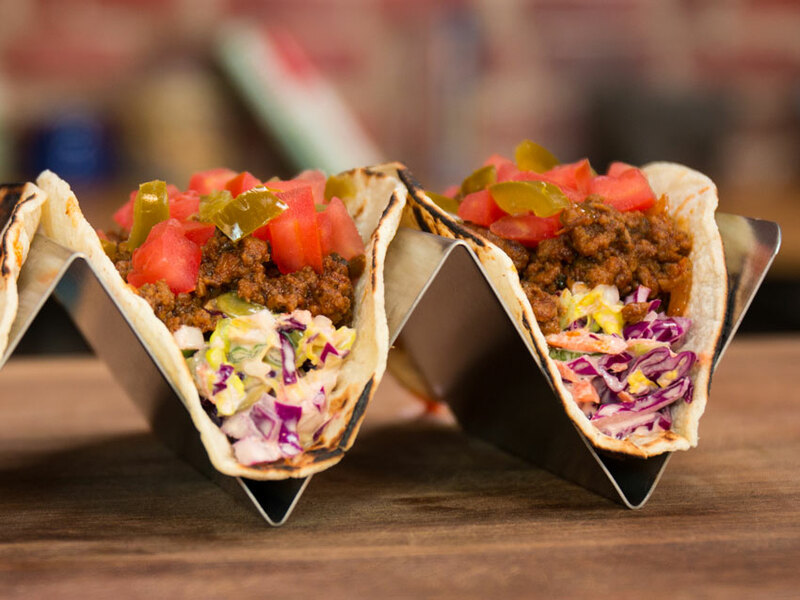 These brand-new kits are loaded with fresh, crunchy veggies and delicious sauce combinations, helping you create a complete meal in under three minutes. 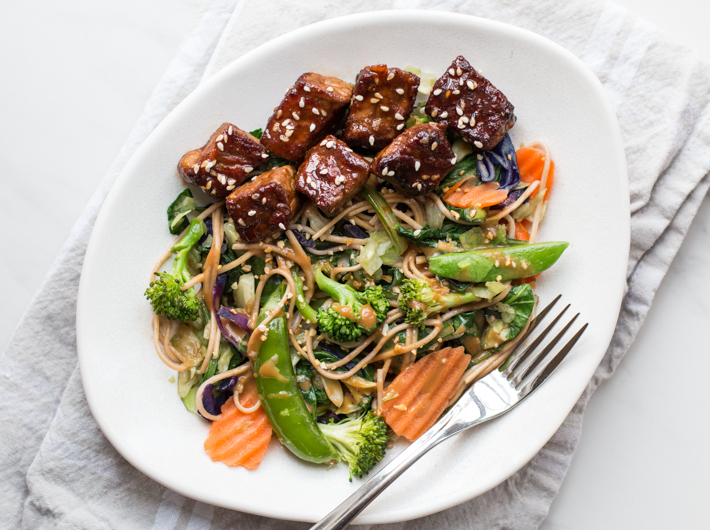 That’s why I’m stoked to partner with Fresh Express® for this quick & easy lo mein recipe, they have made is so easy to get hot, fresh, exciting veggies into your diet. 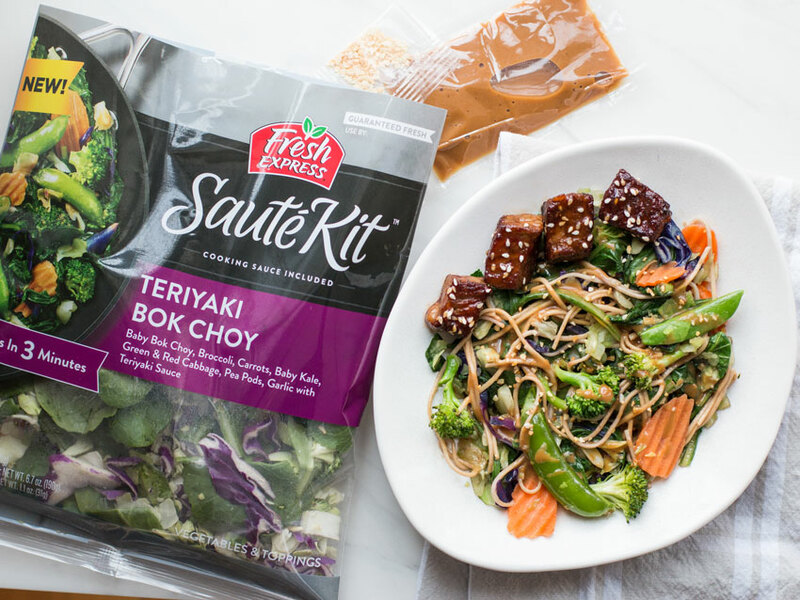 I will be using the Teriyaki Bok Choy Sauté Kit for this recipe but Fresh Express® has 3 other varieties of Sauté Kits™ to choose from, which I’ll be featuring recipes of in the near future. 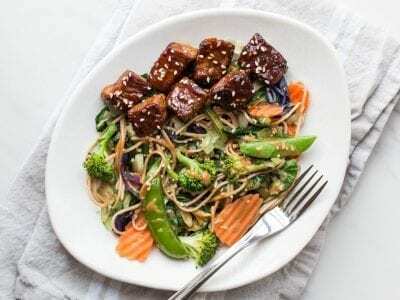 This veggie and steak lo mein only takes 20 minutes to make, has huge flavors, and is an exciting way to enjoy veggies like baby kale, green cabbage, carrots, broccoli, baby bok choy, pea pods and red cabbage. 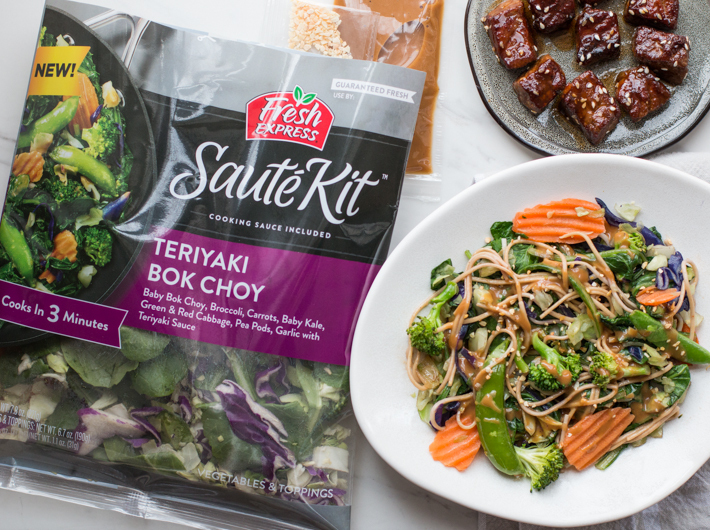 Veggie loaded lo mein recipe with noodles and sticky glazed steak using Fresh Express® Teriyaki Bok Choy Sauté Kit. Bring a medium size pot of water to a boil and cook the noodles for 4 minutes, drain and set aside. Pre-heat a medium size non-stick or steel pan over medium-high heat for 2 minutes. Add 2 teaspoons of oil to the pan along with all the vegetables from the Fresh Express® Sauté Kit™. Cook for 1.5 minutes, stirring often, then add the cooked noodles, teriyaki sauce from the sauté kit, and mix well. Turn the heat off and add the garlic from the sauté kit, mix, and move everything to a clean bowl. 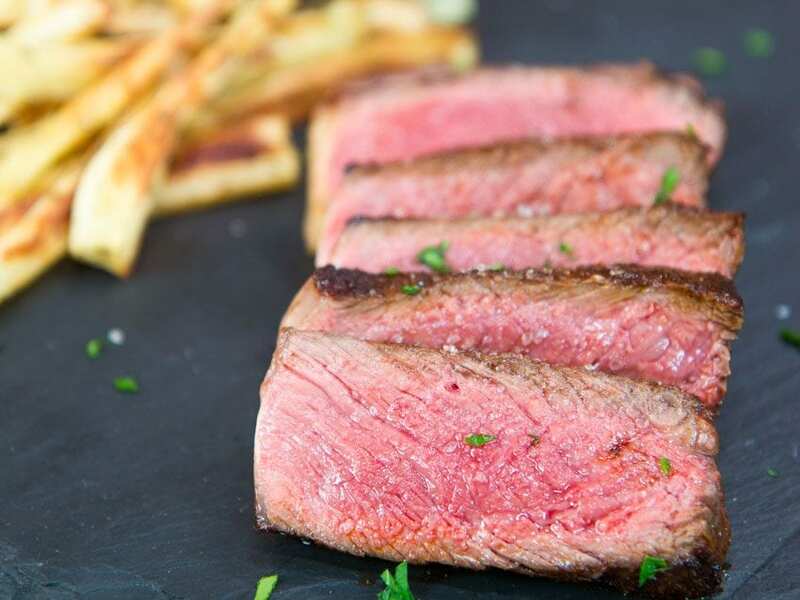 Cut the steak into large bite size pieces and season with ginger, five spice, and ¼ teaspoon of salt. Rub the seasoning into the steak using your fingers. Pre-heat the same pan you used for the veggies over medium-high heat for 2 minutes. Add 2 teaspoons of oil, wait 30 seconds, then add the steak. Cook for 3-4 minutes until nicely browned on all sides. Turn the heat down to medium and add the agave nectar, chili sauce, and vinegar. 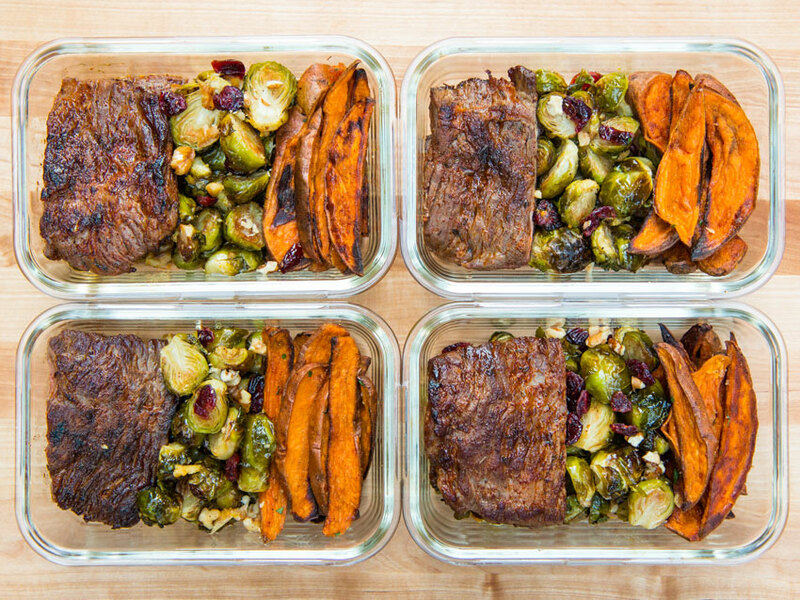 Cook for 1 minute or until the glaze is nice and sticky, making sure to coat the steak well. Turn the heat off, add the sesame seeds, and serve the steak with the sautéed veggies and noodles. Enjoy!